When will more people visit GOV.UK using a mobile or tablet than a PC? Yesterday the BBC published data showing more people accessing iPlayer via tablet than via computer. This prompted me to update some of the data I gathered for the government's agreed approach to mobile last this time last year. The objective of the UK government's digital strategy is to make sure our digital services that are so straightforward and convenient that all those who can use them will choose to do so. But what our users consider to be 'straightforward' and 'convenient' is not static. We need government services to be able to adapt quickly to big changes in people's behaviours and expectations. Since 1 January 2014, 63% of visits to GOV.UK have come from a computer, 23% from a mobile and 14% from a tablet. 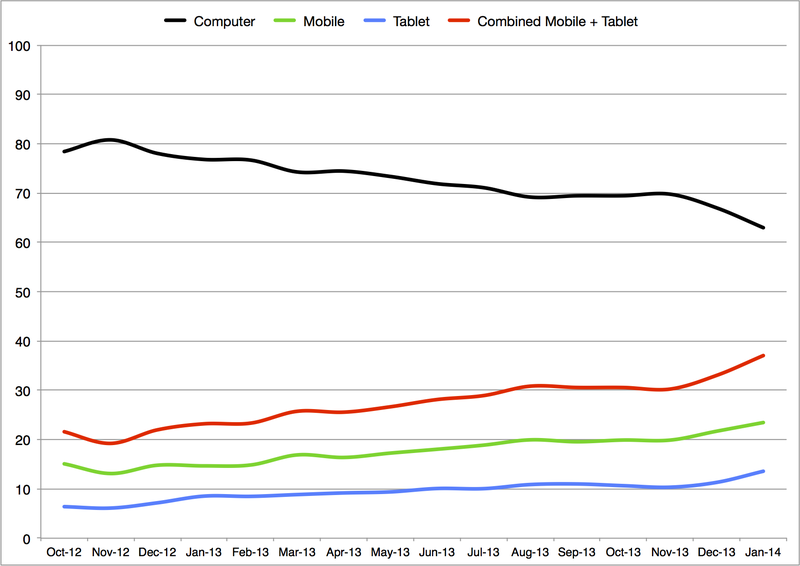 In January 2013 it was 77% computer, 15% mobile and 9% tablet. If you visit the GOV.UK performance dashboard you'll see that the sample sizes are non-trivial. Compared with the general UK population, the graph above may be skewed by a minority (around 2%) of GOV.UK users who visit the site more than 100 times a month, often to research government activity as part of their job, typically from a work computer. I've tried to get more representative UK data by looking at the visit data for the two weeks following Christmas Day, when such power users are probably not quite so busy. The device breakdown for this period last year was 74% computer, 16% mobile and 10% tablet. This year saw 61% using a computer, 24% mobile and 15% tablet. Shifts in the devices people use to access the internet should come as no surprise, but the pace of change might. And I do not expect this switch away from PCs towards more personal, portable, touchscreen devices to slow down anytime soon. The UK government e-petitions service has seen incredible changes in how, when and where it is used. Pete Herlihy has product managed this service since it went live in summer 2011. As he revealed recently, only two years ago over 75% of visits came via computers. 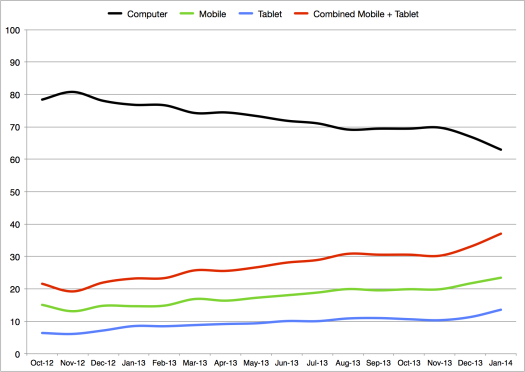 Now a mere 27% do so, with 56% from mobile, and 17% from tablet. I hope this helps explain why the digital by default service standard requires that, from April 2014 onwards, all new or redesigned central government digital services must be designed with an appropriate range of devices in mind. As we say in the GDS Design Principles, our services must understand the context in which people will use them. And for many people, for many services, that context is swiftly becoming more mobile, more personal and more touch-controlled. Designing for small screens can be a real challenge. Which is why for many of the 25 exemplar services we're now designing the mobile version first, despite visits from computers still being in the majority. Why? Simply, it's often easier to make a service also work for a computer monitor and keyboard if you've already made it work really well on a small touchscreen than it is to go the other way. Moreover, as Andy Washington, MD of Expedia UK & Ireland, explained at a recent panel, designing within the constraints of a small touchscreen helps keep your underlying service as clear and as simple as it needs to be to serve all your users, including those who may be new to the internet, or find it a struggle. Finally, to answer the question posed in the title to this post: When will more people visit GOV.UK using a mobile or tablet than a PC? On Christmas Day 2014, if not before. NB I've seen no data over the past year to suggest the government's approach to downloadable apps should change. We're still not 'appy about them, and central government departments and agencies must seek an exemption before they start developing any. Sign up for email alerts and join the conversation on Twitter. What are we doing about accessibility? On a historical note, your prediction that Christmas Day 2014 would see more mobile than desktop users doesn't seem to have been borne out. shows that the lowest percentage of desktop users was 53.1% (just after Christmas 2014). The trend is toward mobile use, but the transition doesn't appear as rapid as expected. I'm working on an intranet for example which has limited devices for now, but if the external sites go past the tipping point it's a useful fact to apply in discusses about how urgent mobile-enabled intranet is. With all these browser stats, what is the plan of action? The 'industry standard' now is to offer mobile responsive websites. No longer should a website serve up a different page, rather, a page that is stylized and designed to compliment the myriad of screen sizes people use. I appreciate, what an incredible task it will be to make all government websites mobile responsive. Perhaps the job of the government is to simplify the online offering. They seem to be large and clunky! Do you have figures for any business based transactions as opposed to citizen ones, eg the business finder tool? Would be interesting to see if the proportions are different. Just had quick look at figures for https://www.gov.uk/business-finance-support-finder and over past three months it's approx 74% computer, 13% tablet and 13% mobile. So, too big to ignore, and very good that the service already responds automatically to the differing screen sizes. 9 times out of 10 this is the right approach to take, designing on the ‘small stage’ first means you’re very careful with your content and usability – which is great. Desktop traffic still of course the main source for the majority of sites, but with time and as infrastructure improves (3G to 4G) mobile internet use will only accelerate. Mobile is becoming more and more integrated, in time we’ll see it surpass desktop for sure. Just a couple of things. You’re comparing three devices – computer, mobile, tablet, and pointing out in which order your device design priority is changing, and why. That’s good. Good pointer for budding interface designers. I’m wondering why you aren’t including ‘phone’ here, particularly for the older generation. You know, the old maddening touch pad menus. To be fair to your elders, for some, they’ve got this far, so you’ve got to look after them. simplify/ standardize menus. 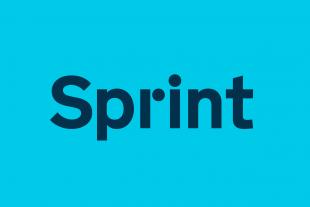 The present app policy, I think, is the right one, primarily as the GDS is just one of many/every? government teams focussing on delivering “me too” departmental services which will have to conform to similar standards. So this may encourage a whole new industry of app developers who can build, and support, more mobile citizens, as they move/live in different countries. Perhaps, rather than “seeking an extension” the developers might be given a opportunity to present a business case, if not to the gov, then some Venture Capitalists. What’s happened to the total number of visits over this time? John, if you look at https://www.gov.uk/performance/dashboard you can see visits have very roughly doubled since launch of GOV.UK in Oct 2012. I think if people want to visit a website and they have a tablet it’s easier, quicker and more convenient to do so via a tablet but there will also be that traffic which will stumble or check this site while they are logged onto a PC. I think it’s becoming a split between browsing and casual use including gaming on a tablet but for main tasks like essays, posts etc… then it’s very hard to replace a laptop or PC. More leisure tasks on tablets and more formal tasks on PC. Hi Tom, I’m afraid this is one of the areas where your decision to locate government services on a single domain undermines the overall user experience you offer. You don’t treat motorists, pensioners or students as separate users for research, hence gov.uk doesn’t cater for them. Presumably these groups have different needs, ages, incomes, and devices? fascinating, but the underlying service design challenge remains – by nature many government services are ‘wordy’ for want of a better word. it’s unkind to call them verbose because they often confer or grant fairly fundamental things, safeguarded by parliament but they can feel like that when you are in them. i recently filled in the power of attorney forms using the new service. it was a vast improvement on a paper form and meant i didn’t need a lawyer to do it, because i could understand what was going on. but it had to convey to me quite a bit of information for good reason, and required details of several other people by the nature of the process. maybe i am just old or something but i couldn’t see myself doing it on a mobile. this does of course fit your service design principles to be aware of context.